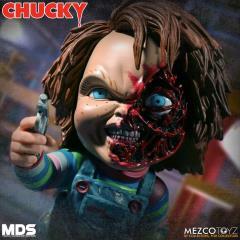 Time to play! 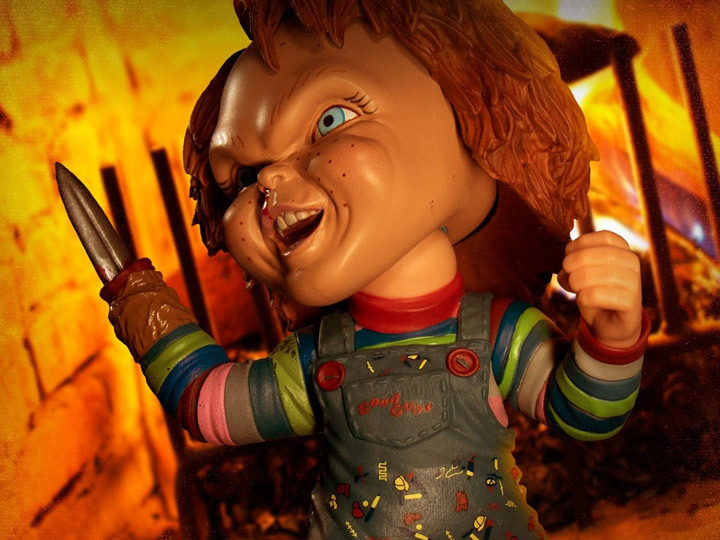 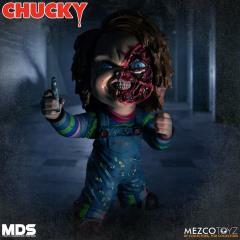 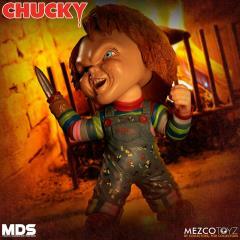 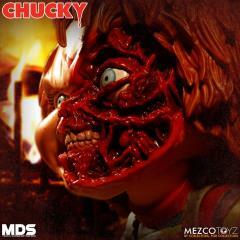 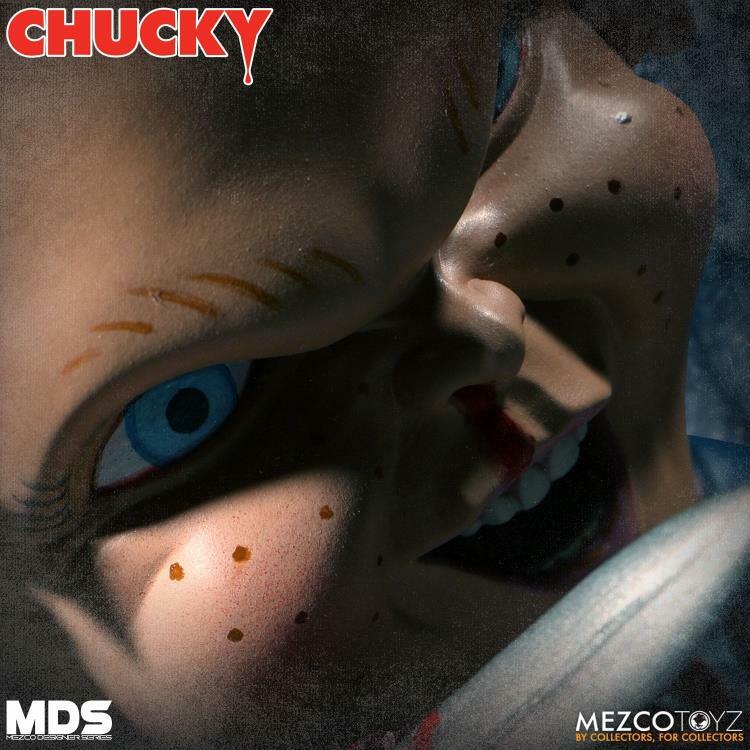 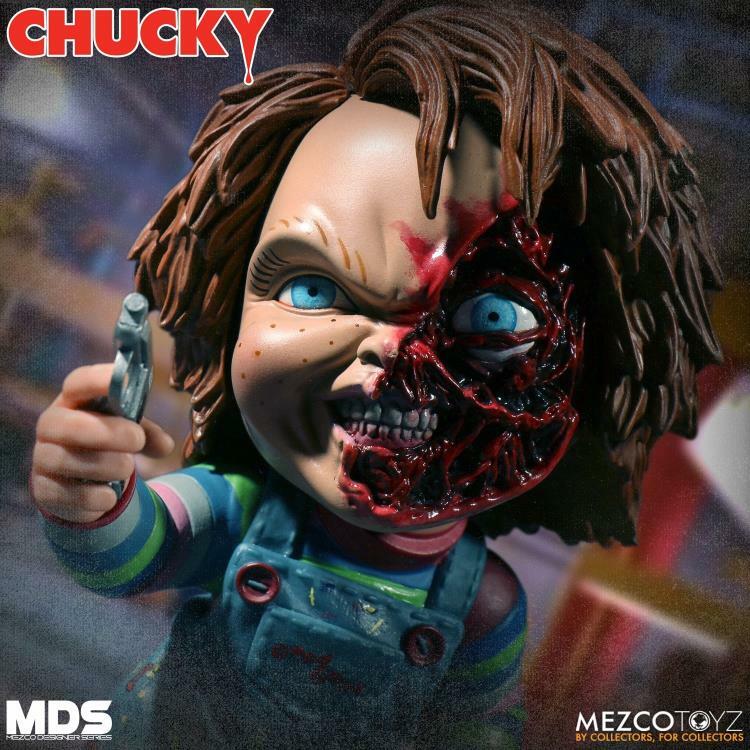 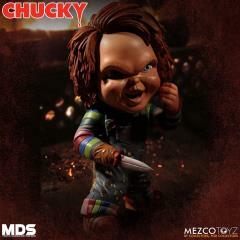 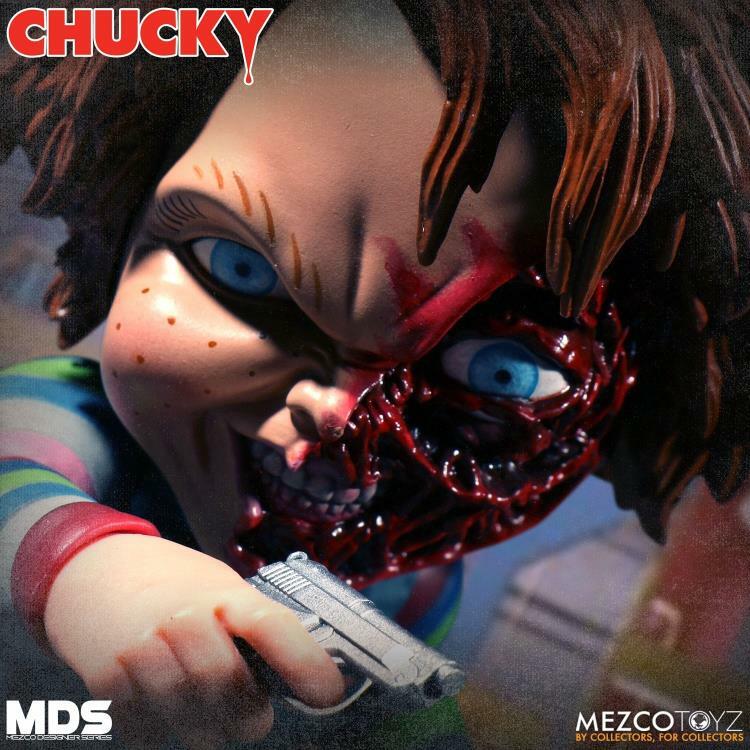 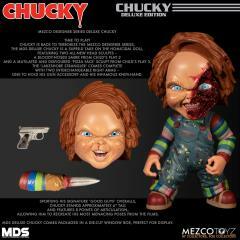 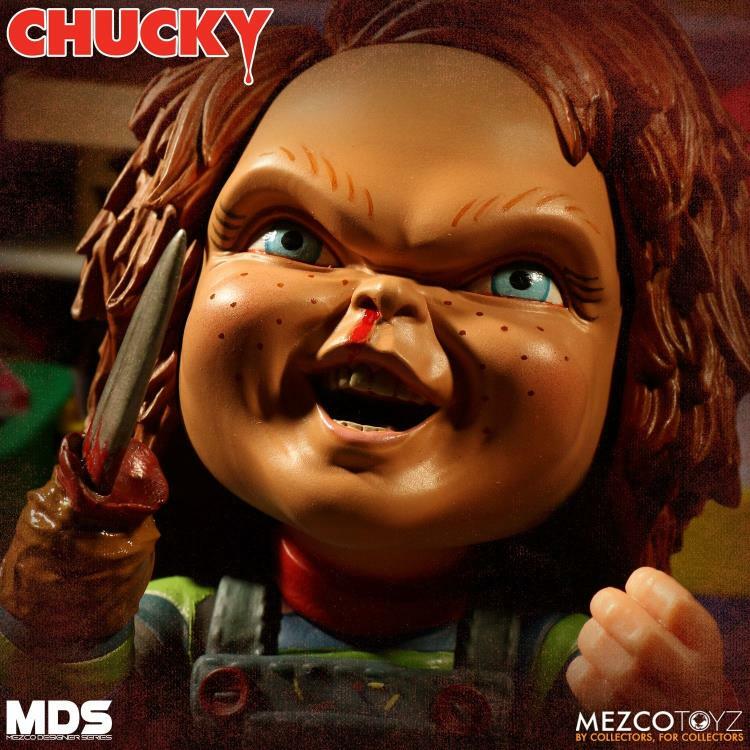 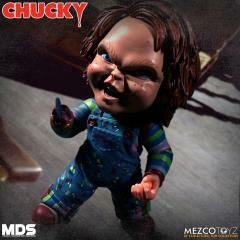 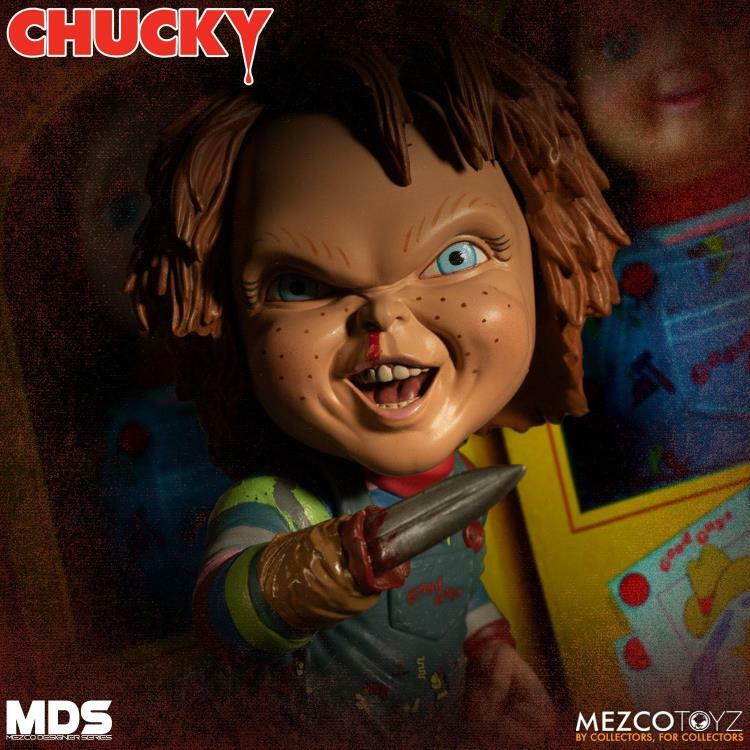 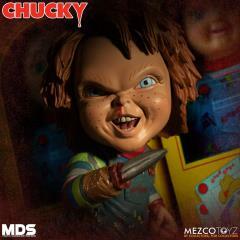 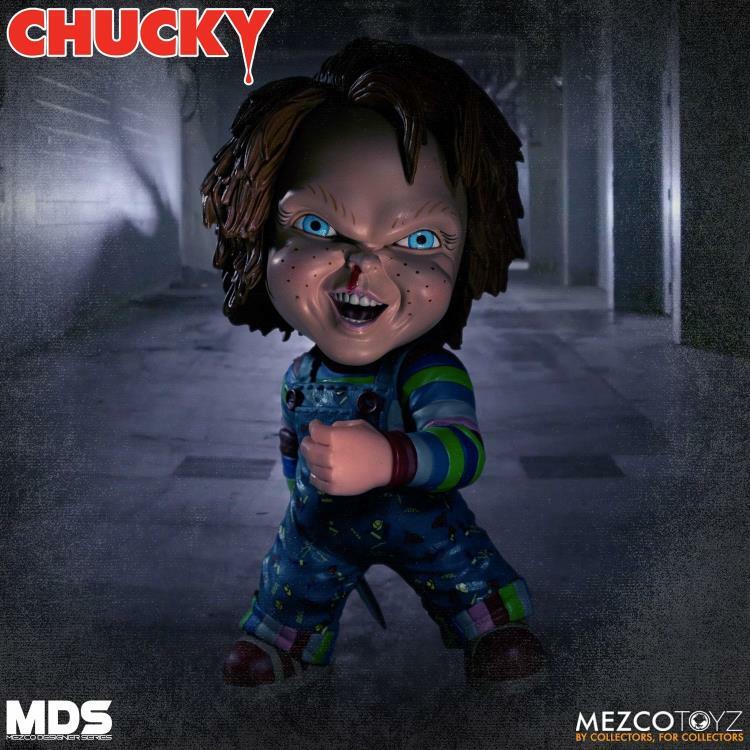 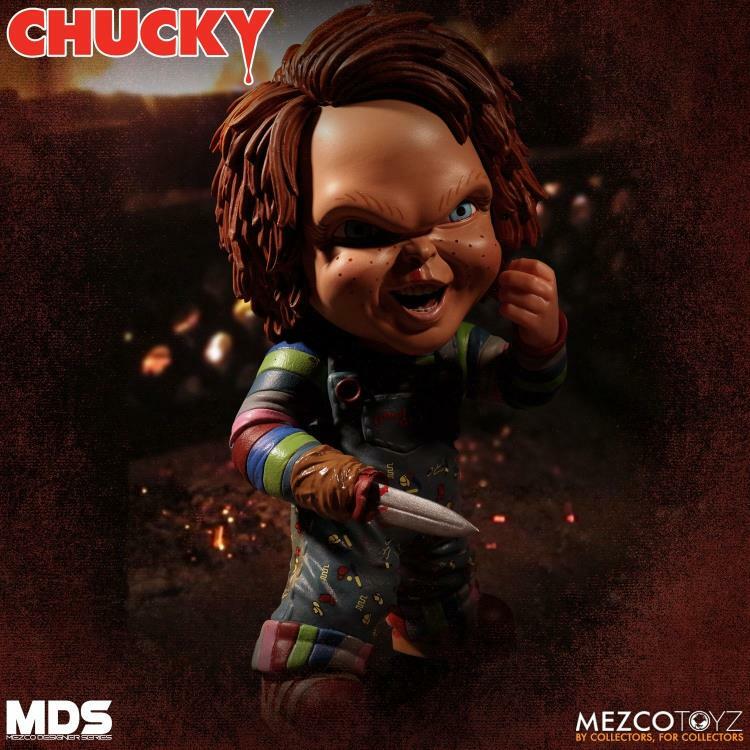 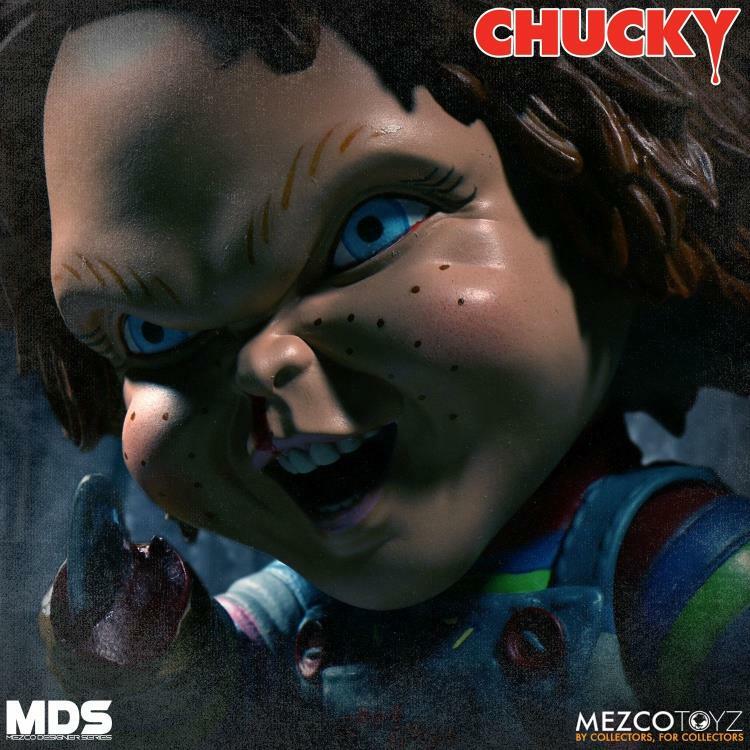 Chucky is back to terrorize with this MDS Deluxe Chucky is a super-D take on the homicidal doll. 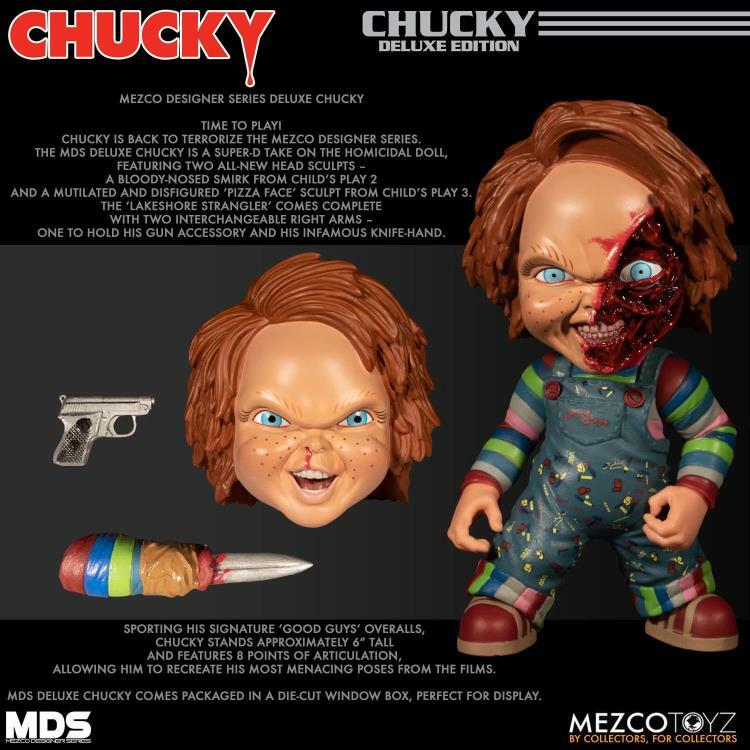 Included with the doll are two all-new head sculpts – a bloody-nosed smirk from Child’s Play 2 and a mutilated and disfigured ‘pizza face’ sculpt from Child’s Play 3.